I dressed the boys in brown chinos, white shirts and smart blue jumpers. My daughter wore a pretty orange tea dress which she chose herself. 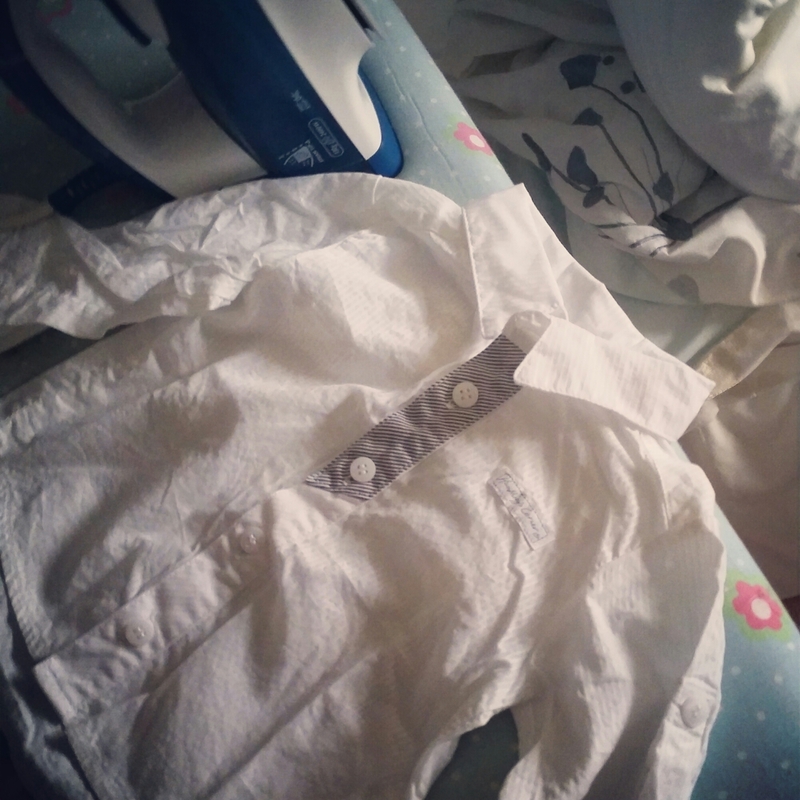 Finding my own outfit was a bit of a nightmare (having an out of proportion post-natal body!) but I found a gorgeous plum-coloured dress from Phase Eight. My hubby wore a new grey suit. We had invited 40 adults and their 17 children to share the day with us, made up of immediate family, the godparents and a few close friends. When we arrived at church, my daughter had a wobble as she realised how many people had come to see her and her brothers be baptised. At that age, any attention is embarrassing and while she was fully prepared for the day, I think the nerves took over so it took some reassuring to help her calm down. But it was lovely to see the church filled with our church family and our own families. After the prayers, the Reverend opened the service with a short discussion of Matthew 7:24-29 – The wise and foolish builders, and he’d brought props in too, which helped bring the Word to our lives today. Then it was time for the baptism. We stood at the front with our chosen godparents, the children have three each, so it was a big group of us. The Reverend marked the cross on each childs’ head and then we and the godparents did the same. We then moved to the font where my daughter was baptised first, followed by my son and then the baby. It was a beautiful moment and I was so touched to see my son say the vows himself along with us. We hadn’t put pressure on them to do so as it’s their choice. 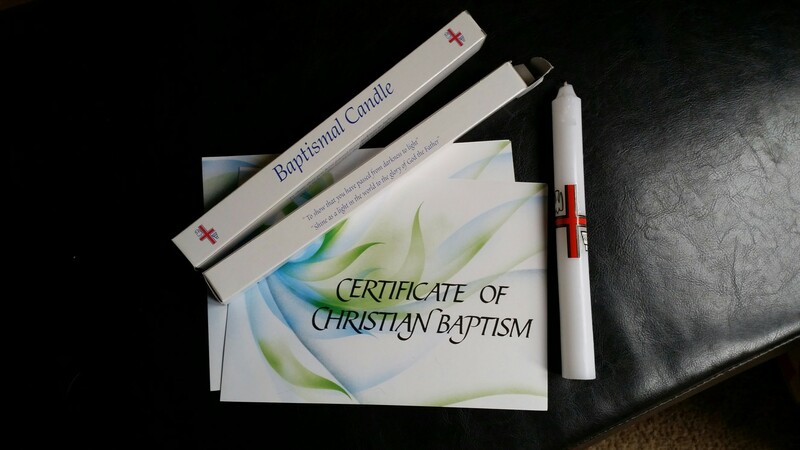 We then moved back to the front of the church and received the baptism candles. We had asked that one was also lit for Abi as the one we were given when she died had been used during her time in the Chapel of Rest. It felt right to get a new candle for her now which, like the others, we can light on special days. We spent some time listening to the sermon about how keeping God close is important in the good as well as the difficult times and strengthens our faith. The sermon spoke to everyone there, the regulars and the visitors. It is always good to be reminded why we are here and how a daily relationship with God enriches our lives rather than thinking about the mundane and material things in this world all the time. We then sang three hymns and they were wonderfully worshipful songs. I felt moved. Knowing we had committed to Christ as a family was very powerful. The children had skipped off happily to play and the baby was being looked after while we continued so I was able to really put my mind to the service, which is normally distracted by one of the brood! I prayed the words as I sang them. I felt a comfort, a connection. But I had Abi on my mind. I wondered if she was there with us someway. I certainly felt the Holy Spirit. The sun shone through the chancel windows at the altar, looking light and beautiful. And then my sister pointed out a butterfly that was fluttering around there. I couldn’t hold the tears back anymore. My song sheet became tear-stained. I’ve talked before about not crying publicly, but church is a very safe place to cry. People bring their sorrows and worries to church all the time, and sometimes the service simply moves people when they least expect it. A hand is always there to hold if you want it, but emotion does not generally attract attention, and I like that. Life is about joy and sadness, and outside church if I were to cry it would make people feel uncomfortable or in some way expect to ‘make things better’, you simply can’t and church understands that (I’d posted about this a while ago in Jesus wept). I’m not saying the butterfly was Abi, I’m not sentimental like that about her death, I don’t believe she’s an angel or a star or a bird… but I do believe God sends us signs through all our senses. 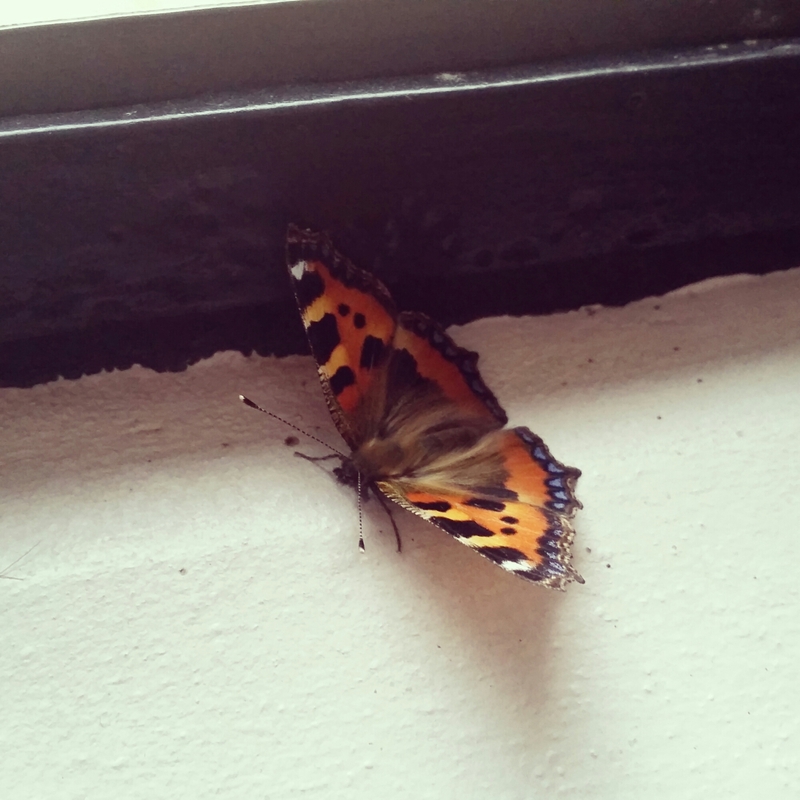 Yes, that was just a butterfly that had got in, like they often do, but I saw it at that time when I was absorbed in prayer, my heart full of grief and yes, always questions about why… it was there and it reminded me of the power and the glory. That Abi is free. Later, we enjoyed a beautiful reception at a local hotel. 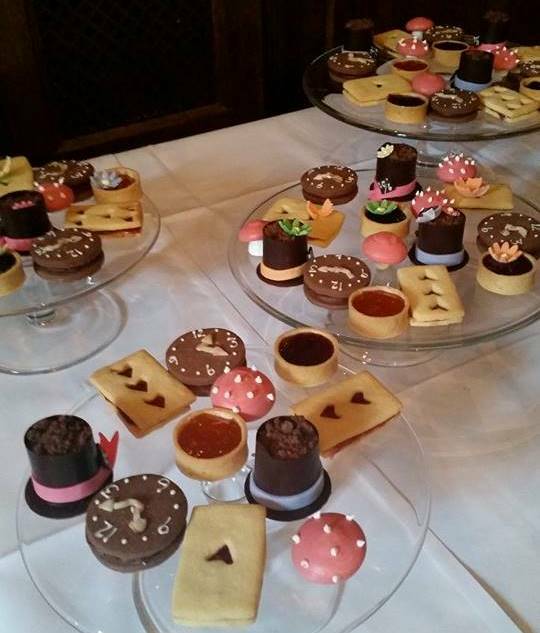 We chose green as our theme, as a neutral colour, and we were served an Alice in Wonderland-themed tea, with jam tarts and delicious cakes. 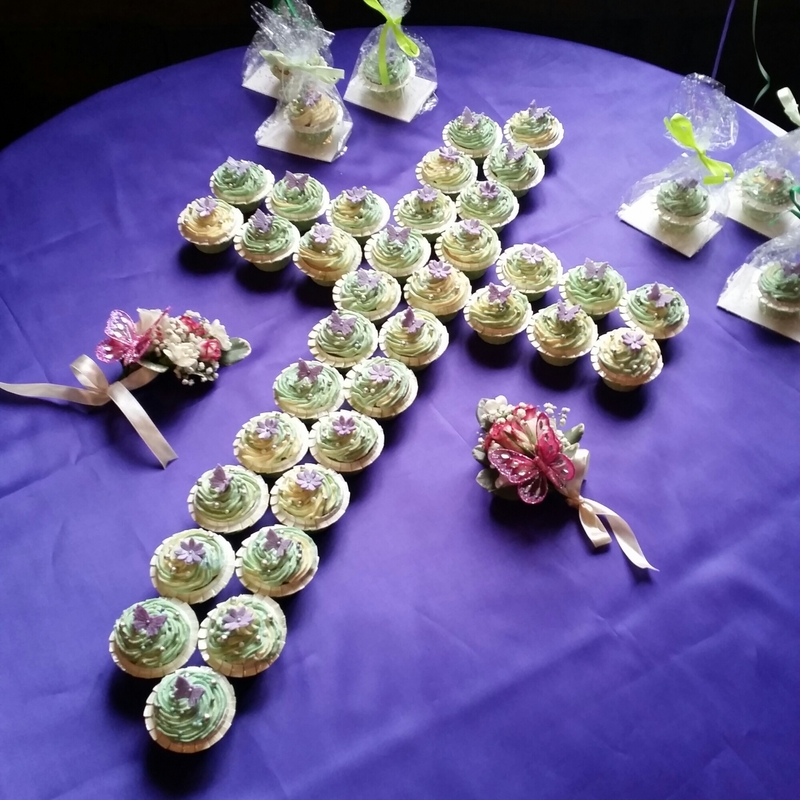 We’d planned and made a stunning cake arranged into a cross. By this table, throughout the afternoon, there were three butterflies, one larger one and two little ones, in the window. The hotel staff put the large one out twice, but it kept finding its way back in. Of course, it was meant to be there. 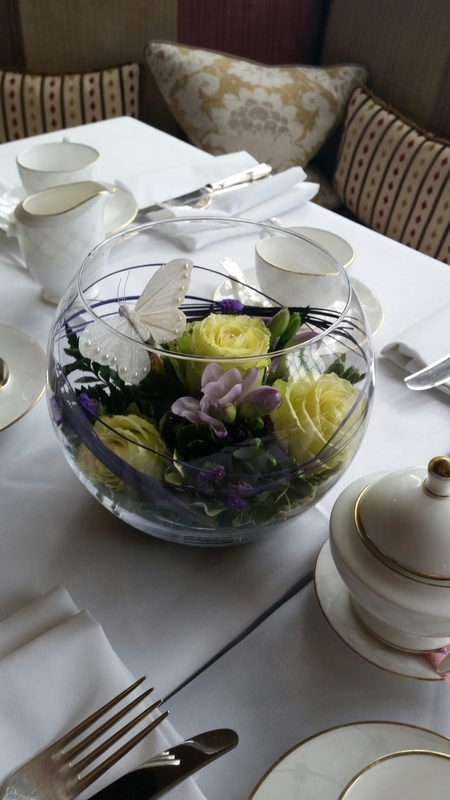 Our florist had also added butterflies to our arrangements as a tribute to Abi. The children were given so many gifts, which we really weren’t expecting, and they were all so touching (and well-received!) – jewellry and watches, books and traditional Christening gifts – and Abi wasn’t forgotten with gifts to us featuring dragonflies and quotes. 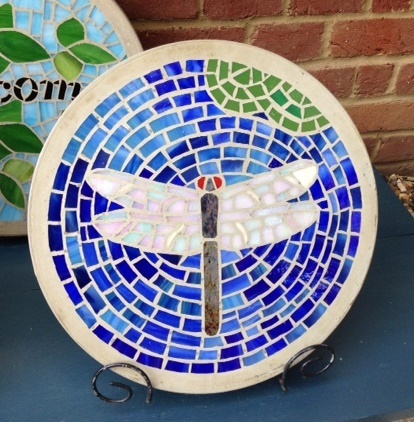 We loved them all, and this stunning dragonfly stepping stone will look gorgeous in our garden. 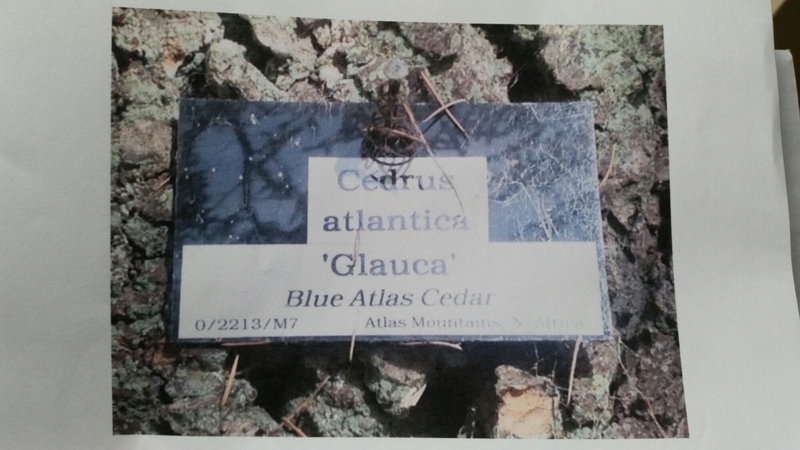 One most special gift was that of a Blue Atlas Cedar tree in a local arboretum, gifted by my closest friend. It’s for our family to go and visit though the years. It was a huge hurdle to get to this day, without Abi, but I’m proud that we did it. It was an emotional but memorable occasion, and I’m so glad our older children were able to join in and will be able to remember this day always. And of course, after, we took some of the flowers to Abi’s memorial, the day was for her too after all. 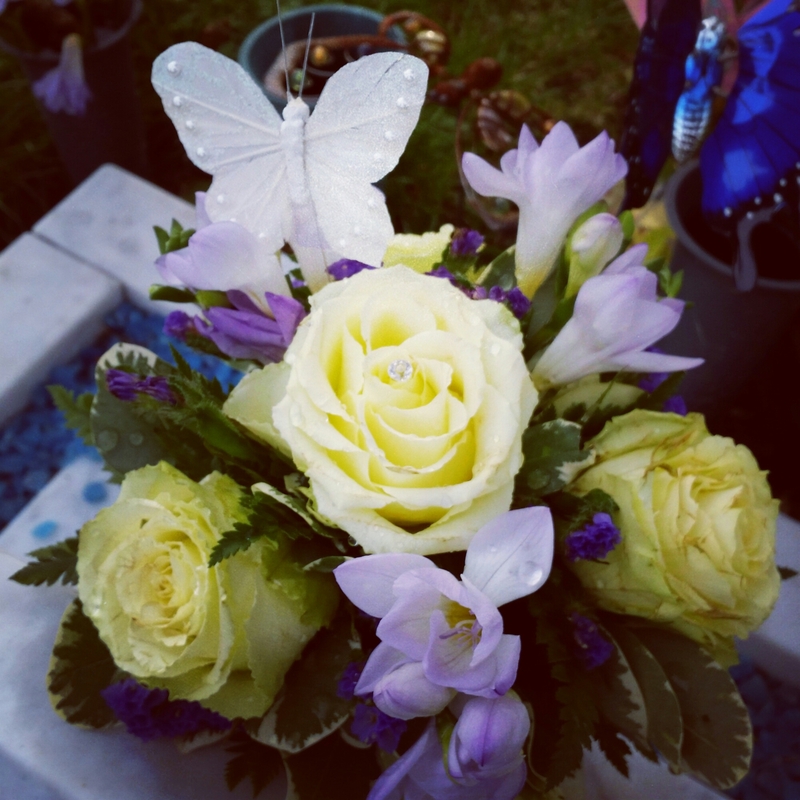 This entry was posted in Faith, Living and grieving, My musings about life and tagged Baptism, child loss, christening, faith, grief by Chasing Dragonflies. Bookmark the permalink. I have been reading your blog for three months. Our twelve year old son Aidan died of a massive brain hemorrhage in July. Like Abi, his organs were donated. I smiled as I read of the Baptism of your children. Your words have given me hope even when you struggle. My two older children miss Aidan and I pray for your children. I pray that Abi continues to watch over your family. I wish us both peace in our journeys. Thank you for sharing your story.